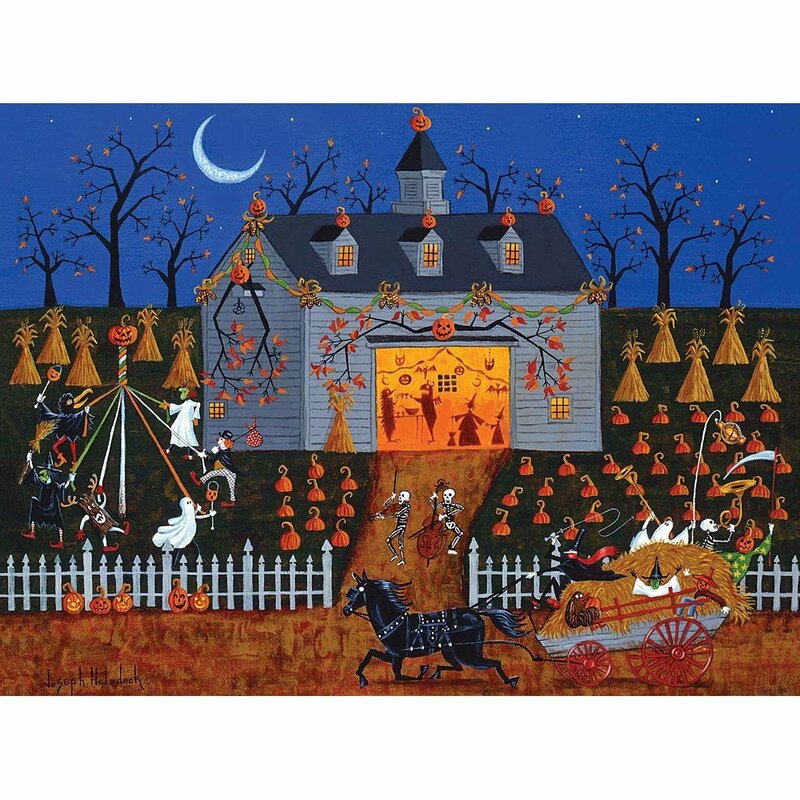 Why not get into the Halloween Holiday spirit with one of these bewitching Halloween Jigsaw Puzzles for Adults ? 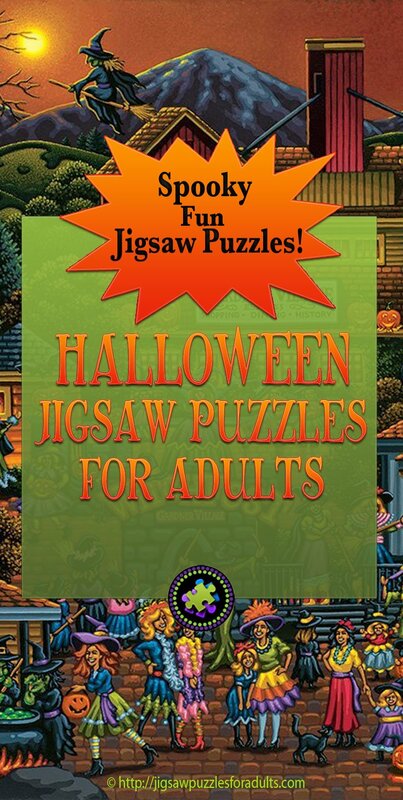 Halloween Jigsaw Puzzles are perfect to work on by yourself, or with the whole family. 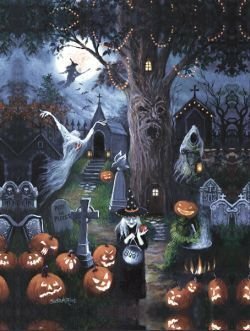 Why not invite some friends over and make up some delicious Halloween treats and sit around assembling these magical Halloween Jigsaw puzzles. 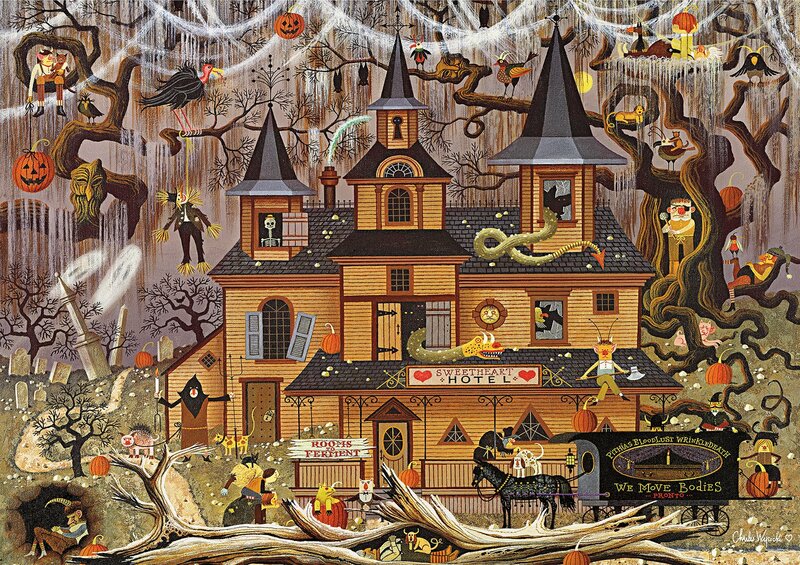 Halloween puzzles aren’t just for kids. 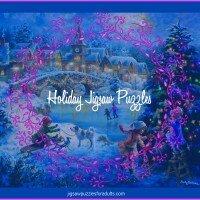 It’s really a nice to start a holiday tradition by having an assortment of puzzles for every holiday. 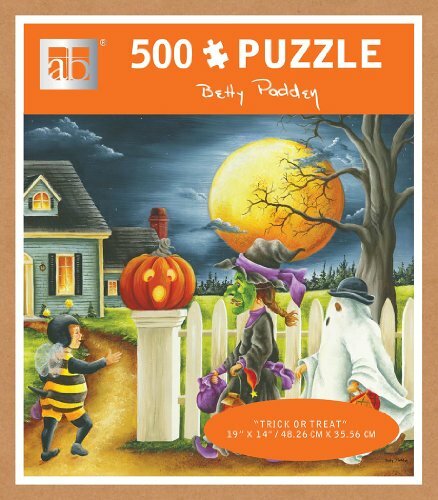 Halloween Jigsaw puzzles are super great fun for family night and bonus is you are challenging your mind with some great brain exercises along with having loads of fun. 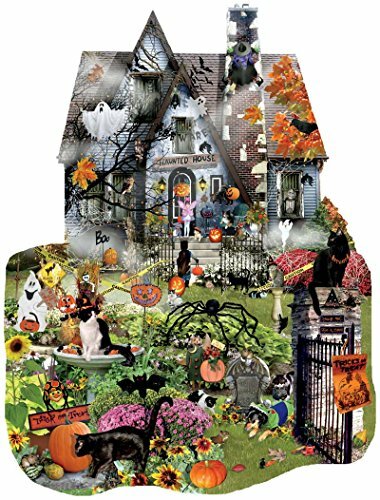 Below you’ll find large selection of Halloween Jigsaw Puzzles for Adults ranging from 100 pieces to 2000 pieces. 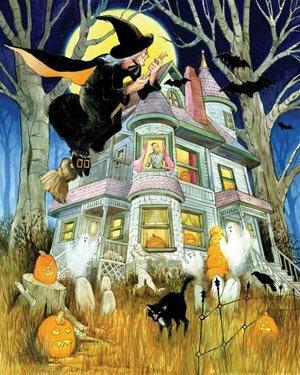 When it comes to finding cool Halloween jigsaw puzzles, the BEST place to shop for them is online. 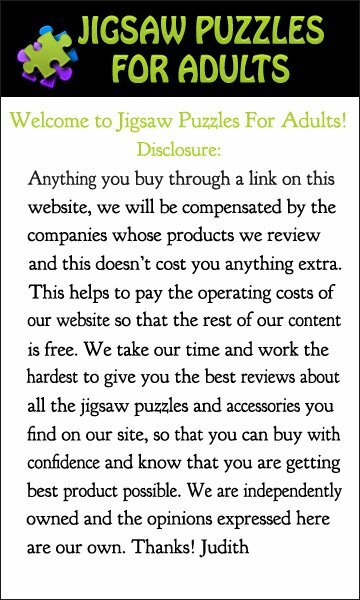 The selection is great and if you are budget minded you can easily shop for the best price. 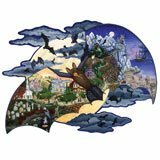 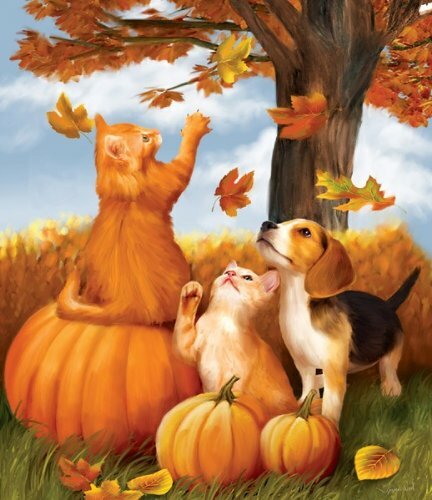 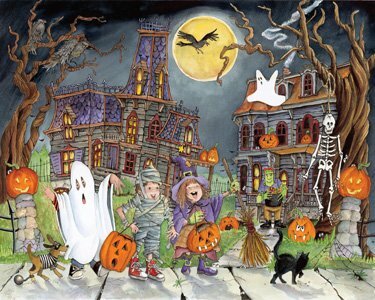 Below you’ll find an awesome selection of different Halloween Jigsaw puzzles! 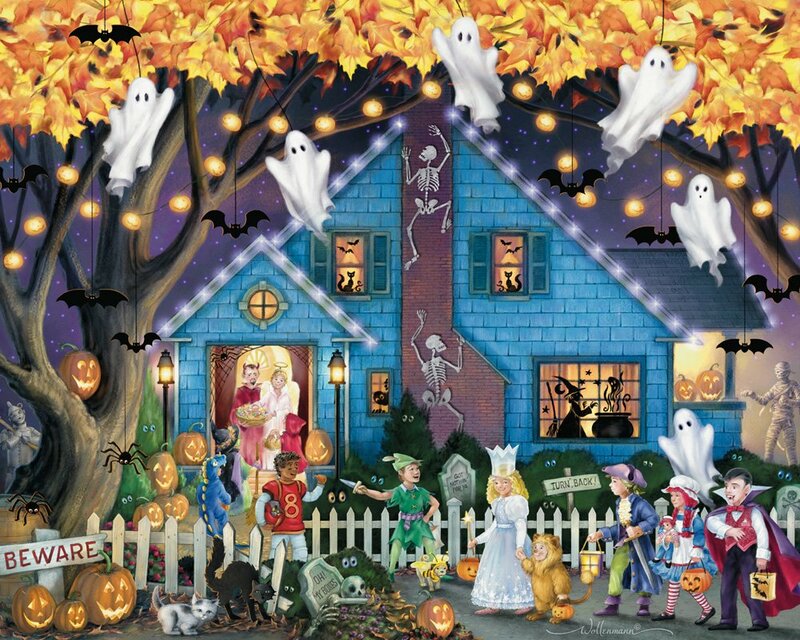 How good are you at finding all the ghosts and goblins in this beautifully illustrated 1000 piece Halloween Jigsaw puzzle called the Haunted house? 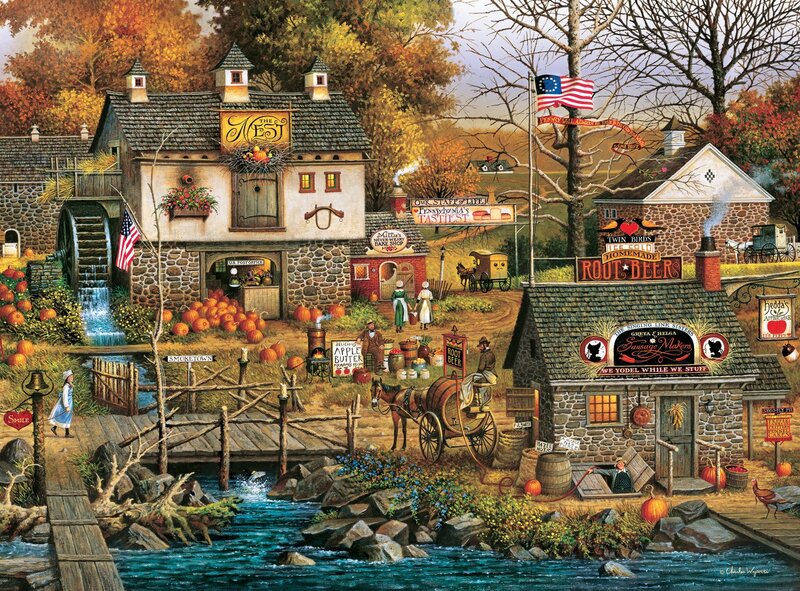 When completed this puzzle measures 24 inches by 30 inches and is made in the USA out of recycled materials. 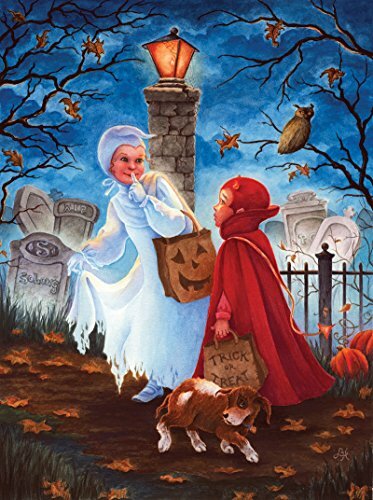 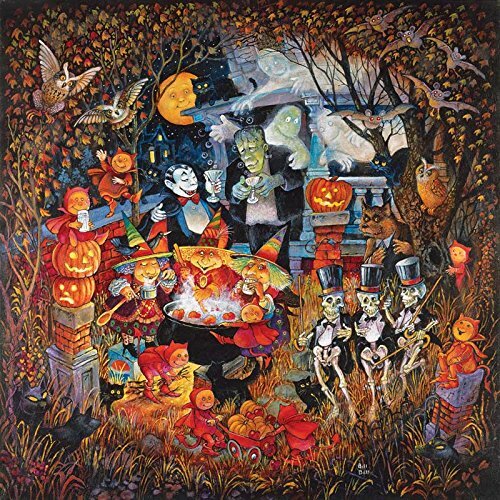 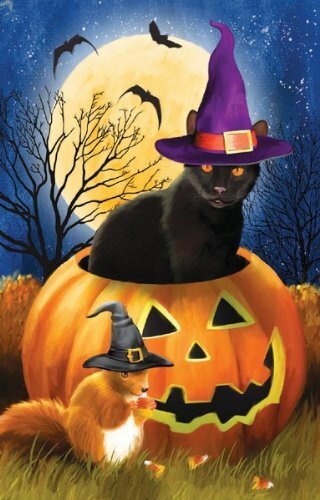 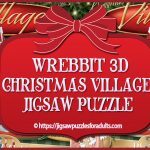 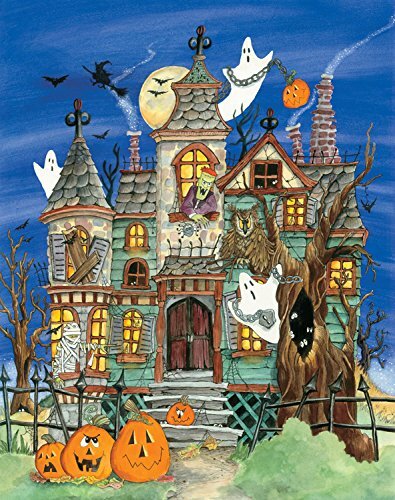 This is a really vivid cute colorful jigsaw puzzle and if you are a puzzle person who gets a kick out of Halloween you will love the picture of the haunted house with bats, ghosts, pumpkins and other Halloween stuff! 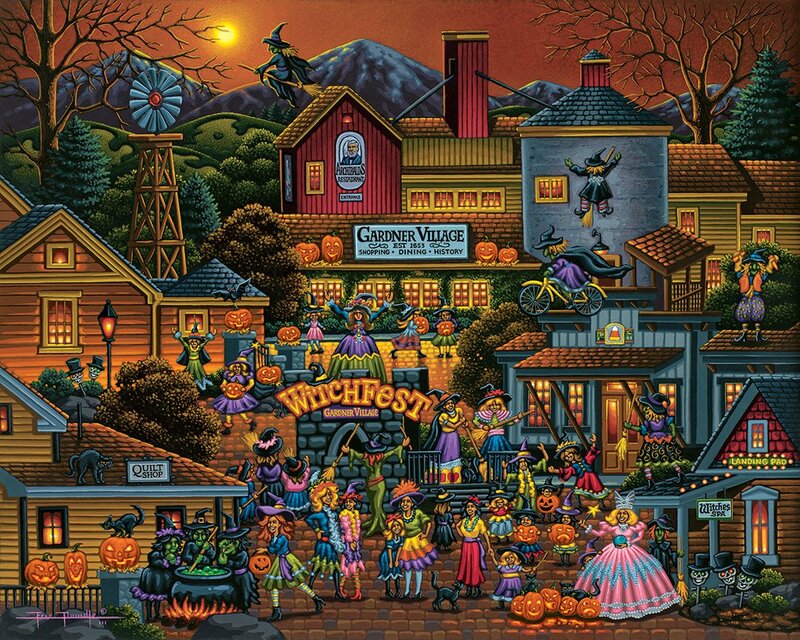 This Spooky Halloween jigsaw puzzle is perfect fun for Halloween enthusiasts! 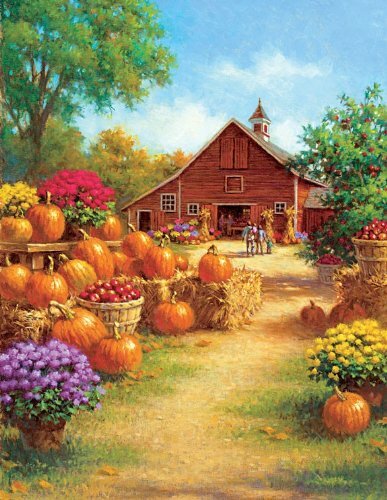 SunsOut Puzzle Company jigsaw puzzles are made in the USA are made of recycled board and Eco-Friendly, Soy-based ink. 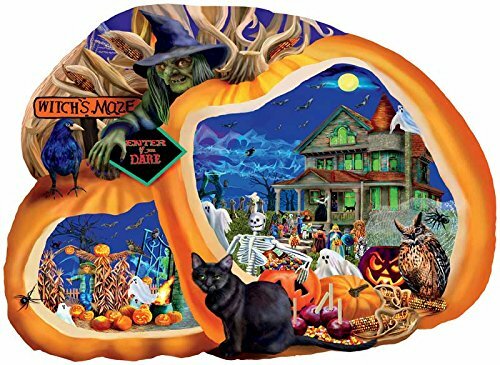 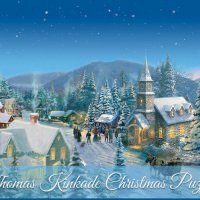 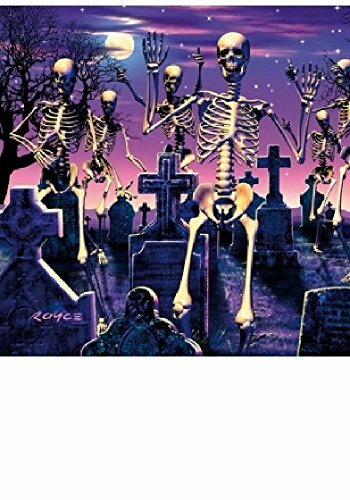 This 1000 piece Panoramic jigsaw puzzle by Andrews + Blaine called Haute Halloween has a finished measurement of 38.6 inches by 13.4 inches and comes with a 4 color insert to use while you are working on the puzzle. 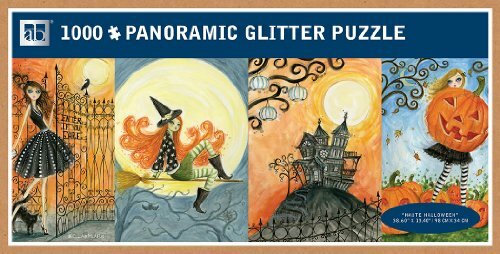 Plus, the jigsaw puzzle is embellished with a touch of glitter! 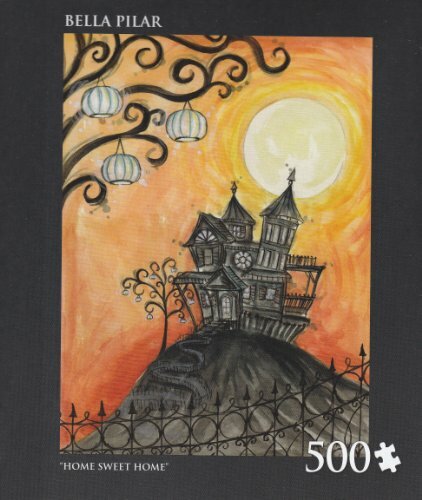 The artwork of this puzzle is by Bella Pillar. 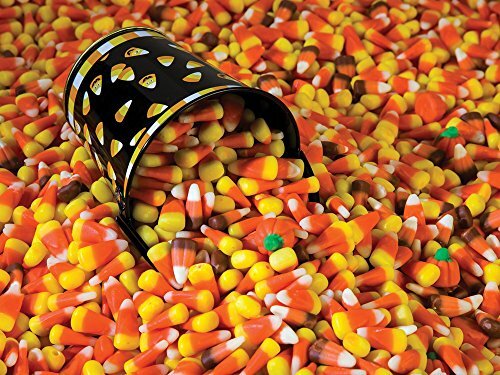 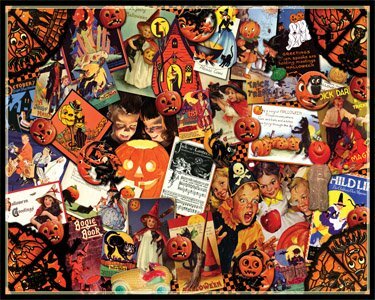 This 1000 piece panoramic Jack O Lanterns jigsaw puzzle measures more than three feet and is made in USA by Andrews + Blain. 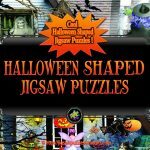 If you are looking for something a little different you might want to try out one or even two of these fun Shaped Halloween Jigsaw Puzzles. 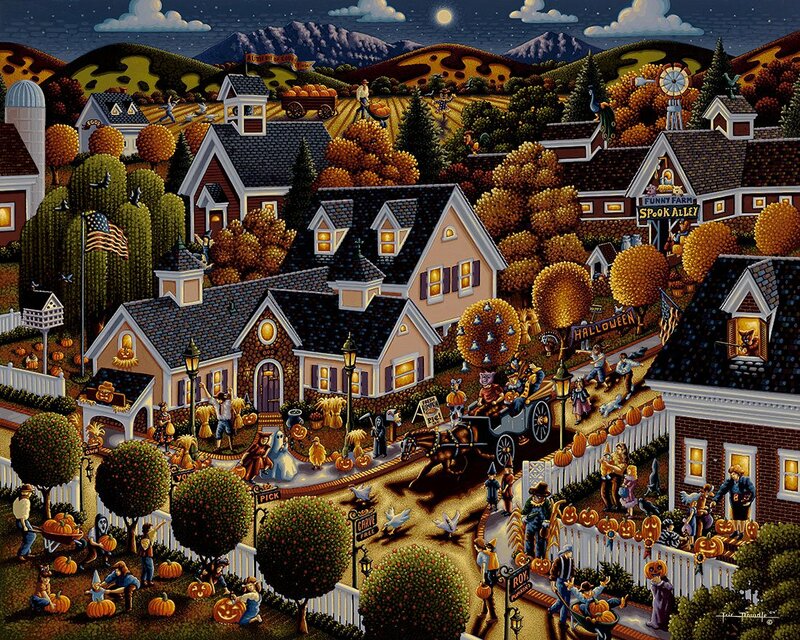 They come in varied piece sizes from 300 pieces to 1000 jigsaw pieces. 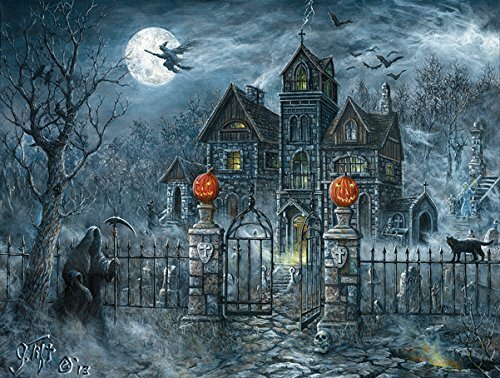 If you are itching to get your hands on a spooky Halloween Jigsaw puzzle you won’t be disappointed with these shaped puzzles. 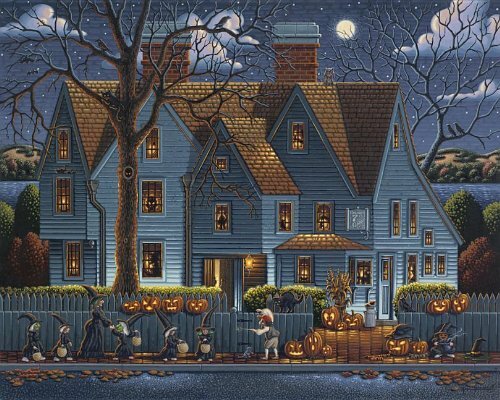 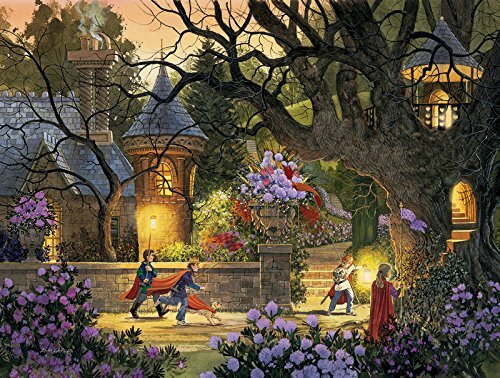 The Spooky House is a large 1000 piece jigsaw puzzle that measures 26.5 inches by 35 inches when finished. 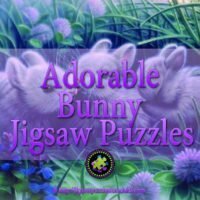 If you are used to doing jigsaw puzzles by putting the borders together first you’ll have a bit of a challenge with this one because of the odd shaped pieces. 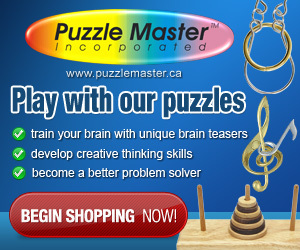 This puzzle would be great fun to put together with the whole family. 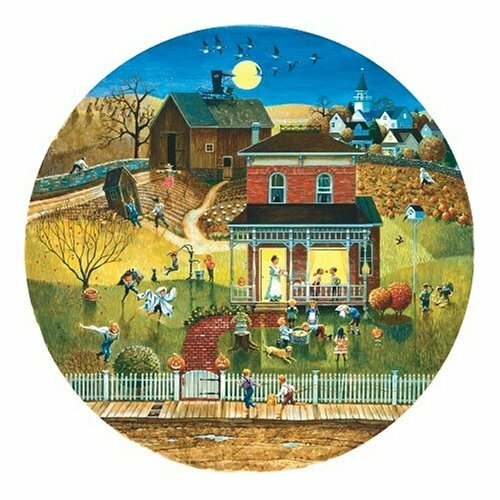 This puzzle by SunsOut is a super cute 19.5 inch in diameter jigsaw puzzle made up of 500 jigsaw pieces. 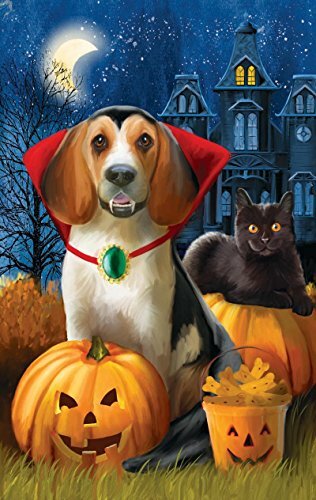 Artist Bill Bell does a fantastic job of illustrating all these Doggy’s dressed up in Halloween costumes. 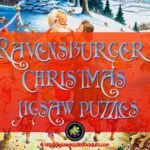 Another fun puzzle to work on with the family. 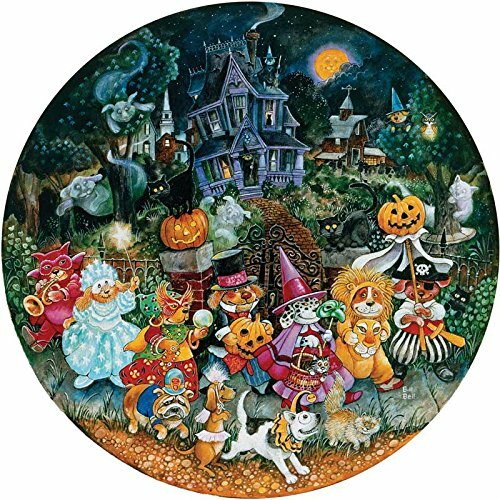 This 250 piece Wenworth wooden jigsaw puzzle Jack O’Lantern is made in Great Britain and all the pieces are laser-cut and the jigsaw puzzle includes whimsies, which are pieces that reflect the theme of the puzzle. 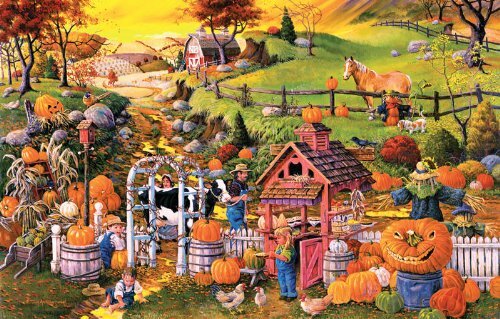 The finished jigsaw puzzle measures 9 7/8 inches by 14 1/8 inches. 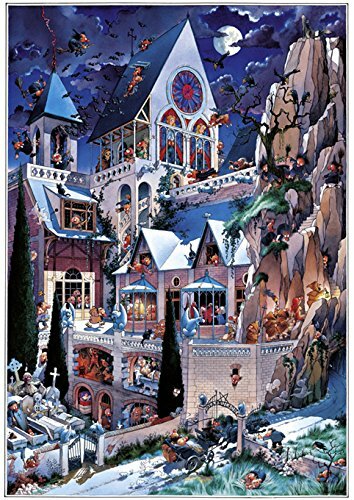 This 252 piece wooden jigsaw puzzle from Artifact Puzzles is not as easy as you may think especially since it’s completed size is 10 inches by 13.5 inches. 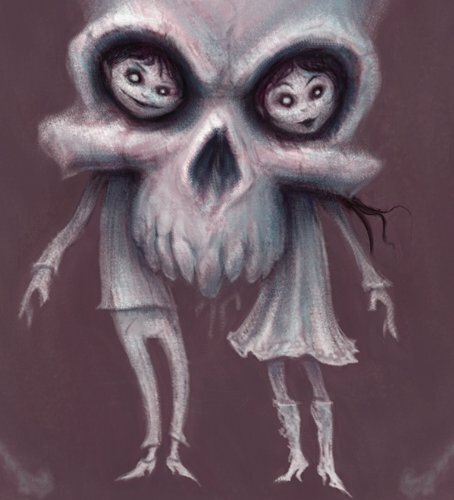 The wooden puzzle features two kids in a skull by Edmundo Sanchez a concept Lead Artist for the award-winning “league of legends” online game. 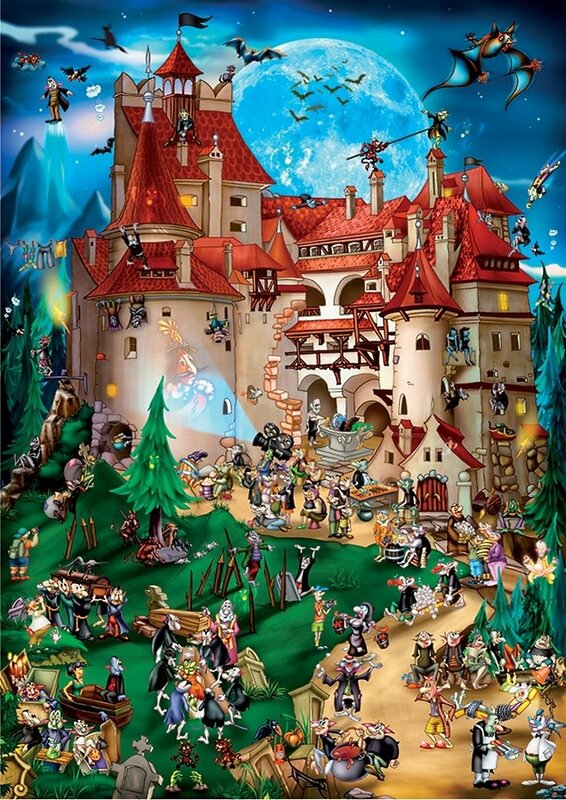 What makes this 252 piece jigsaw puzzle challenging is the irregular edge designed especially for this puzzle by Edmundo and the many themed whimsy pieces. 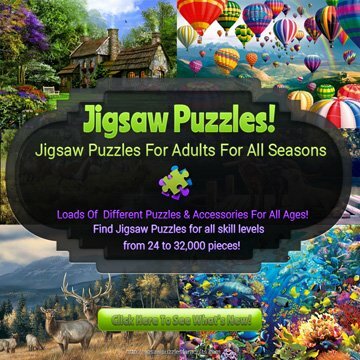 Like all of Artifact puzzles, the jigsaw pieces are laser-cut from ¼” thick wood and packaged in a pine wood box. 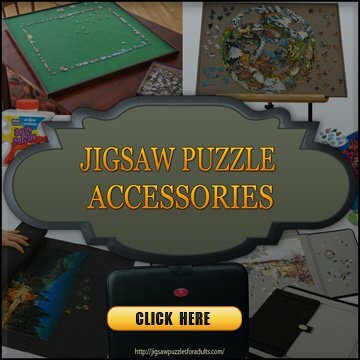 Artifact Puzzles are made in USA. 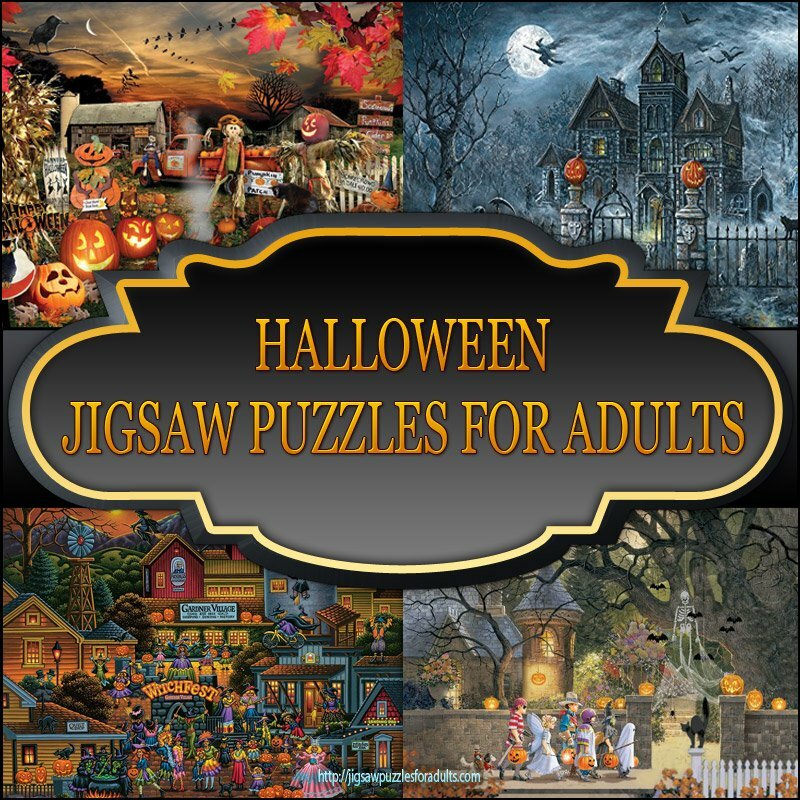 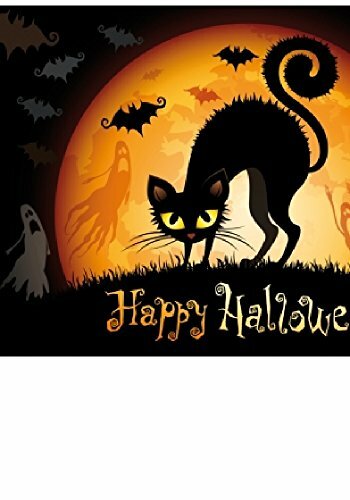 I hope you enjoyed our selection of Halloween Jigsaw Puzzles for adults and if you have any question please leave them below. 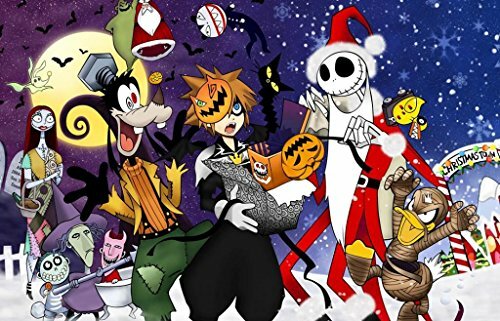 We hope that you have a save and Happy Halloween!